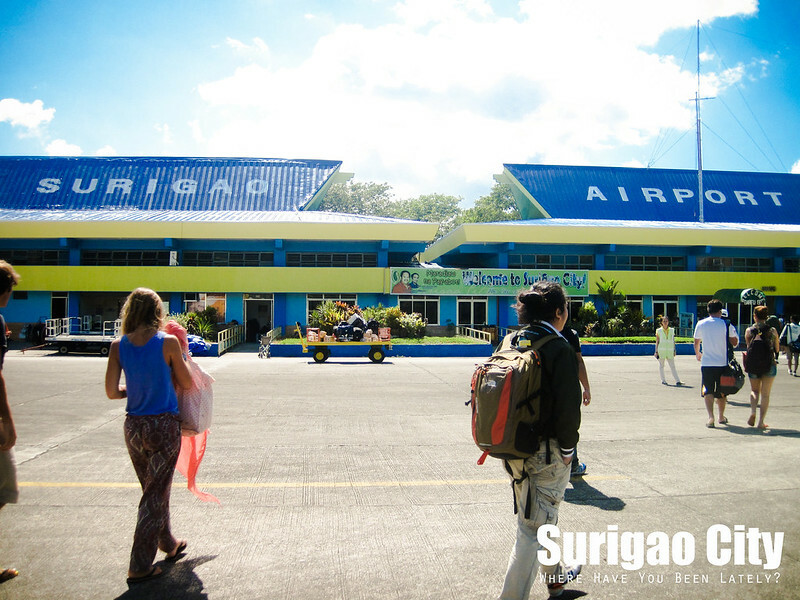 The most convenient way of getting to Siargao from Manila is flying to either Surigao or straight to Siargao. 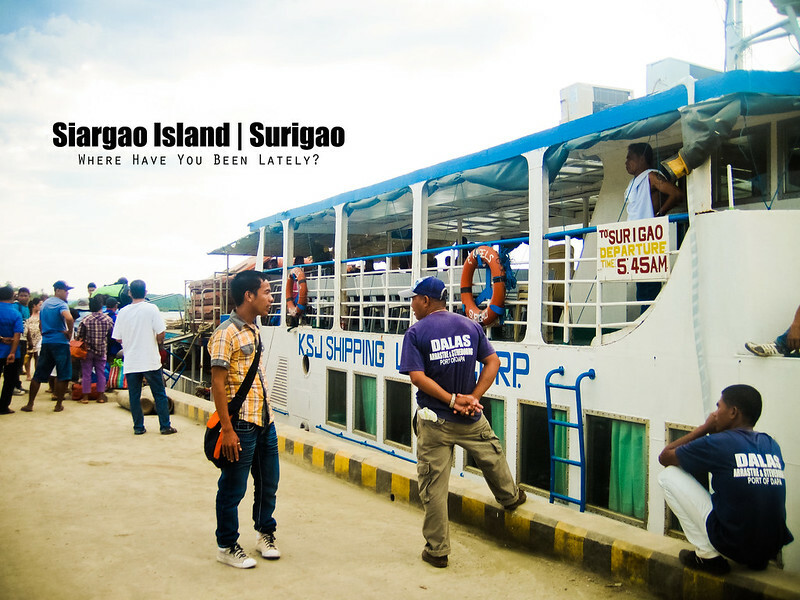 If you opt to land in Surigao, you need to ride the ferry to Dapa Port for Php135. Travel time depends on the condition of the sea but usually takes two to three hours. Lots of vans (Php300 – 500), tricycle (Php200 – 300), and habal-habal (Php200) are waiting in Dapa Port that will offer you ride to either Cloud 9 or General Luna. It takes at least 30 minutes to get to the town proper. Sayak Airport in Siargao, however, is a bit farther than Dapa Port and could take you 45 minutes before you could reach General Luna. Vans (Php300 – 1000) and tricycle (Php400) are also available as transportation. From what I noticed, there are no jeepneys in Siargao. The town mostly relies on habal-habal as mode of transportation. General Luna to Cloud 9 is at least 10 minutes by habal-habal and would cost you Php20 per ride. 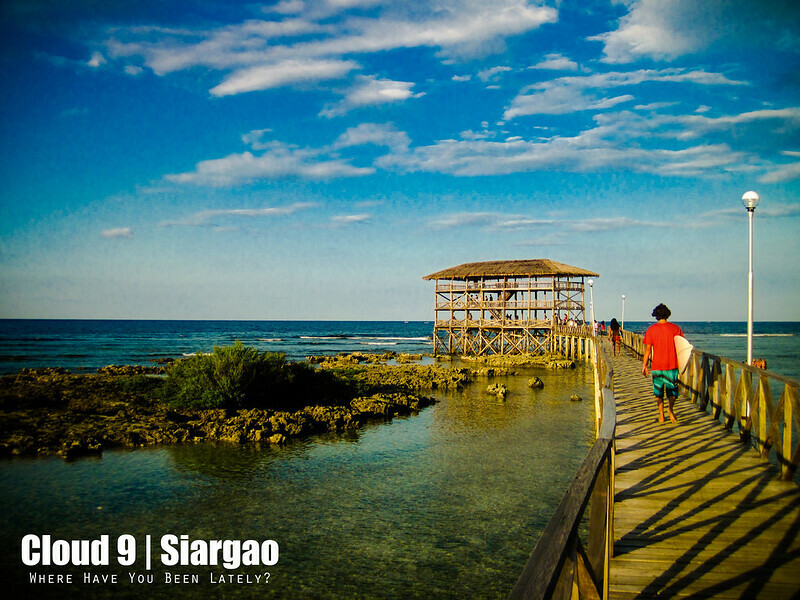 Very little can be done in Siargao as it is a small and pretty much laid-back town. Aside from surfing in the internationally renowned Cloud 9, you can also visit the neighboring islands of Daku, Pansukian, and Guyam, which are at least 10 minutes away from the town proper General Luna. Fixed rate for island hopping is Php1500. Or, if these all still don’t interest you, take a dip in the natural pools of Magpupungko. For me, the best thing to do in Siargao is enjoying a bottle of iced-cold beer from one of the local stores while watching the amazing sunset in Cloud 9 boardwalk. There are loads of resorts and lodges within the Cloud 9 area but, of course, expect it to be more expensive than those around town proper, General Luna. During my stay in Siargao, we were accommodated by Wave Cave, A Surfer’s Lodge & Beach Bar. It is 3.5 kilometers away from famous Cloud 9 boardwalk yet near the boulevard, market, town plaza, and all. Wave Cave boasts of its cozy and relaxing bar located in its second floor, perfect for small parties after your surfing sesh. Highly recommended because of the superb Wi-fi connection, well-air conditioned rooms and clean facilities, location, staff, and owner himself. 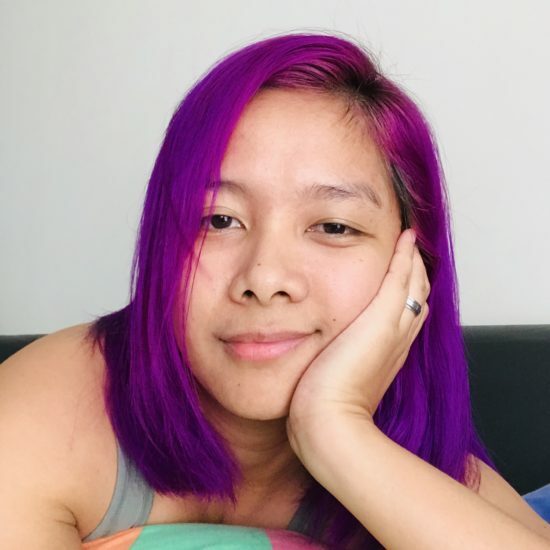 Rate starts at Php700. 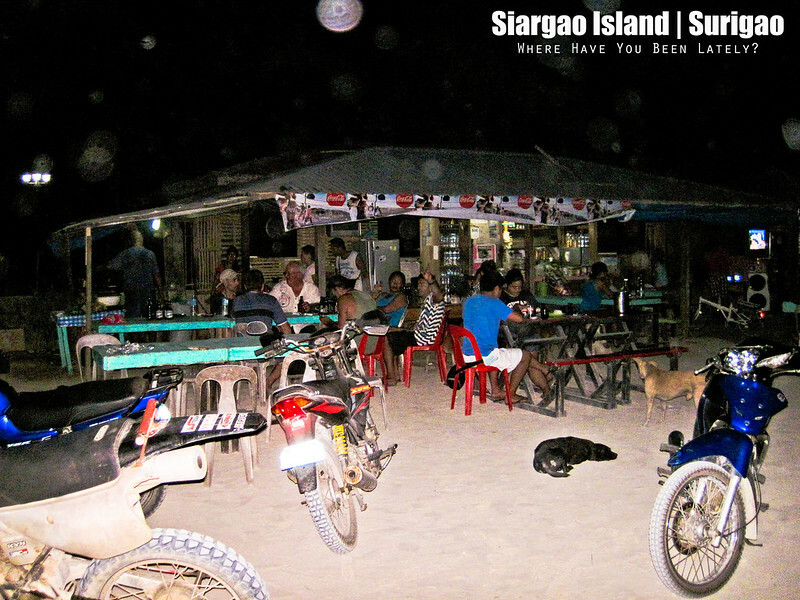 Frankly, we had difficulties finding a decent yet cheap eateries in Siargao. We had to endure breakfast-less mornings because most of the eateries and cafeterias in Siargao open at 11AM. But lo and behold as General Luna boulevard transforms into a hotspot in Siargao at night with its row of eateries that serve basic yet delectable meals. Those who lodge in Cloud 9 gather in GL boulevard at night where they share their surf stories for the day. The Ocean 101 Bar and Restaurant in Cloud 9 is a must-try too as they serve western and Filipino cuisines. Upon arriving at the peir in Dapa town on Siargao Island, you can take a jeepney or a motorcycle to General Luna town. Oh, thank you. Haven’t seen any jeepneys during our stay so I thought there’s none in the town.